RMI is a “by faith” ministry, meaning that it’s missionaries and ministries are 100% dependent on the faithful donations of individuals and churches. People just like you giving on a monthly, quarterly, or annual basis. These gifts are tax deductible. We have been praying for you already and are so excited to see how God raises up these funds and who He uses to partner with us for this ministry in Haiti! We have both been talking about how we want to not just have “donors” or “supporters” but we want to have partners in the ministry. We want you to be a part of our ministry family. We want to personally remember your names, pray for you and send you personal updates throughout the year because you mean that much to us and most importantly, you mean even more to God. You see, we hope you understand just how HUGE your part is in this whole thing. God has called us to leave our country and move to another but He is using YOU, the body of Christ, to send us! 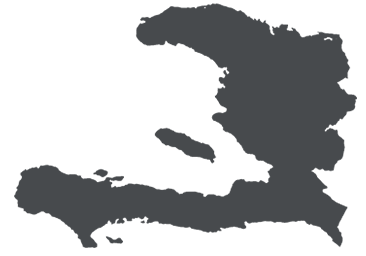 Without you, we would not be able to go and through this you will be able to be a part of this ministry in Haiti! We need 100% of our monthly costs and one-time costs before we can move. They are needing us down there as soon as we can get there. Our hope is to move down there within the next year or so. Once we have 65% of the funds raised, we will do our cultural training and then once we have 85% of the funds raised we will have a HUGE shipping container of all of our earthly belongings 😉 shipped to Haiti. We need so much more to live in Haiti than America because of the costs of things down there. One quick example of cost comparison is our electric bill per month currently for 24/7 electric that is very reliant is around $120. In Haiti, we will have inconsistent electric between 6am-10pm and the bill will be well over $600 per month. What does our monthly costs cover? Our monthly costs cover so many things. A few of these include a modest salary to cover personal expenses, rent, utilities, health insurance, emergency evacuation insurance, taxes, social security, phone/internet, ministry expenses, vehicle fuel and maintenance, shipping expenses, board required 401k, saving back for furlough time in the states, training etc. What does our one-time cost cover? Our one-time costs include setting up our household in Haiti (furniture & appliances etc), shipping our belongings to Haiti, flights and travel for the whole family to Haiti, Missionary Cultural Training, Fundraising Training Seminar, medical exams and immunizations, prepayment for first year of emergency evacuation insurance, inverter and batteries (for nights & when electricity doesn’t work), an ATV and dirt bike (for transportation), Agape fee to set up an account for missionary aviation mail services, ministry equipment, haiti documents, language training in Haiti etc. We need your support in monthly and one-time cost donations and we need your support in prayer! Please consider becoming a ministry partner with us. The need is that we build our monthly support as quickly as possible, so please consider supporting us long-term starting immediately. The sooner we raise the funds, the sooner we are able to go and serve. If you have any questions at all before clicking on the link below to donate, please click on our Connect With Us page up above and send us a note. Also feel free to send us a note anyway, after you’ve made your donation! We look forward to staying in connection with you!